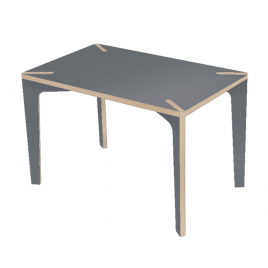 With adapted proportions, beautiful contemporary lines, and a neat workmanship (especially for models of the German arches Sirch ...) our selection for the children's desk will accompany them for a long time in their schooling. 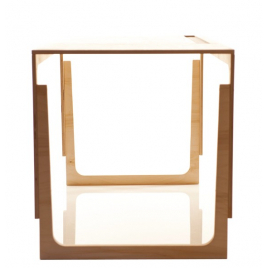 Proportions adapted to smaller and elegant lines for this desk in raw birch plywood that is ideal for children 2 to 8 years. 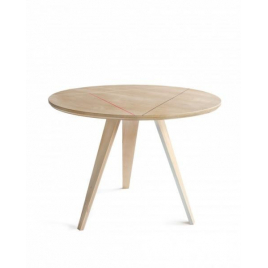 This beech table 106 cm diameter easily take place in the kitchen or as an office where you can enjoy the beautiful graphic pattern from its tray. This wooden coffee table can serve as a side table or drafting table for children; in all cases, you will enjoy its beautiful simplicity and lovely graphic pattern adorning her tray. 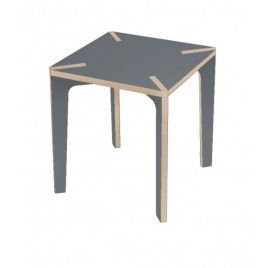 This small square table takes its character to nice details of manufacturing and namely the core of birch plywood which is appearing at the corners and on the edge. 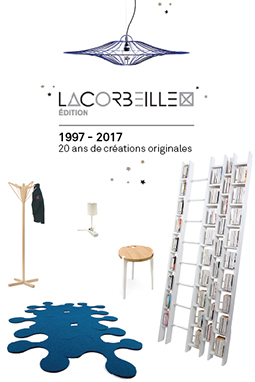 Table / Desk "Serie X"
On an intermediate size, the table / desk "Series X" designed by Benjamin Faure will be perfect to create a dining or a work area, whether in a private or in a public place. 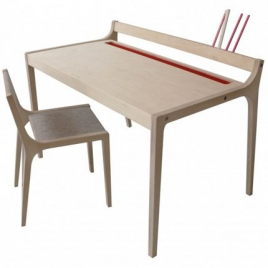 Kids writing desk adjustable in three heights, in birch plywood and red or gray felt.